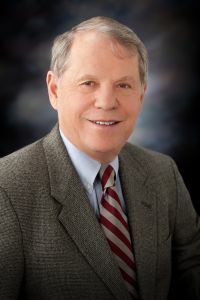 Albert S. Weycer - Weycer, Kaplan, Pulaski & Zuber, P.C. Attorney - Weycer, Kaplan, Pulaski & Zuber, P.C. Mr. Weycer practices in the areas of real estate, corporate planning and structuring, family and estate planning, and intellectual property. Mr. Weycer’s real estate practice combines his many years of experience in counseling clients respecting the acquisition, sale, development, leasing and financing of real estate. Such acquisition and sale experience covers the negotiation and preparation of contracts of purchase and/or sale concerning undeveloped land, office buildings, apartment projects, shopping centers, office-warehouse projects, condominiums and homes. In his real estate development representation, he counsels many developer clients in a multitude of development issues respecting residential subdivision, shopping centers, office buildings, and apartments. These issues frequently deal with the platting process, water districts and establishing restrictions for new residential and commercial development. In his leasing practice, he has represented landlords and tenants in the negotiation of complex leases respecting all types of properties. In particular, he has had extensive experience representing national tenants in lease negotiations covering shopping centers all over the United States. Mr. Weycer has extensive experience representing financial institutions and borrowers respecting the preparation and negotiation of real estate loan documentation. In the corporate planning and structuring area, he has represented numerous clients in the structuring of the right business entity for a particular business and the negotiation of the interrelationship documentation involving partners, shareholders, and other joint ownership arrangements. Such structuring further involves the coordination of succession planning for such businesses and includes dealing with buy-sell, insurance and other issues. Mr. Weycer has extensive experience in the negotiation and documentation of complex business acquisitions, sales, and mergers. Respecting estate planning, he has advised and counseled numerous clients concerning their wills, trusts, powers of attorney, family limited partnerships, charitable and other succession and family planning. In this area Mr. Weycer has extensive experience representing trust departments of financial institutions respecting a multitude of trust and estate issues. In the intellectual property area, Mr. Weycer’s educational background as a chemical engineer provides him with the technical understanding in negotiating complex technology license agreements. He further counsels clients in trademark and service mark matters.